Cats are loyal and affectionate companions and make you happy with playful activities. 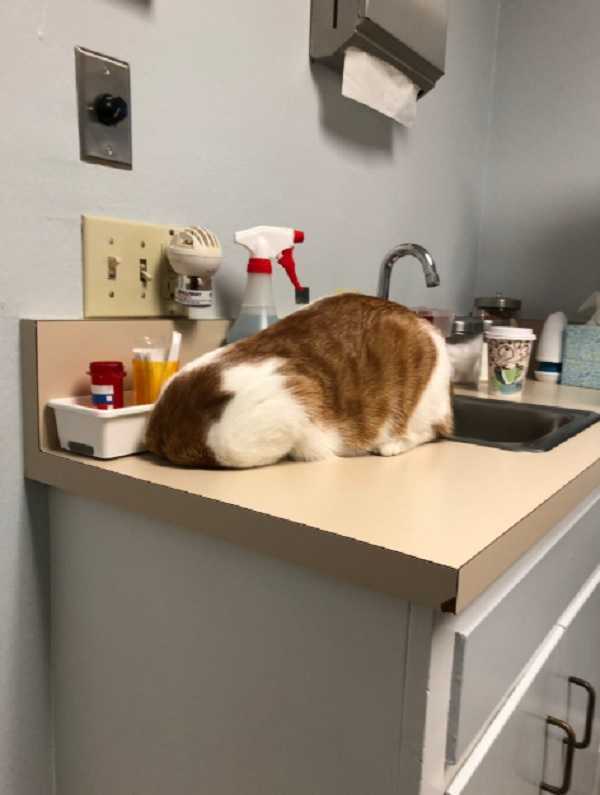 We want to keep our pets healthy and up-to-date on their vaccinations, but our the pets tend to have a different perspective. 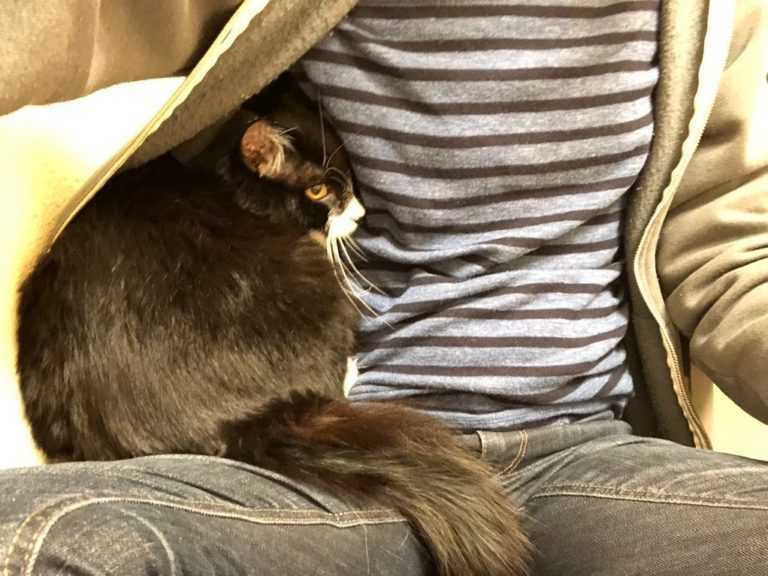 Most cats don’t love going to the vet, and some cats downright hate it. 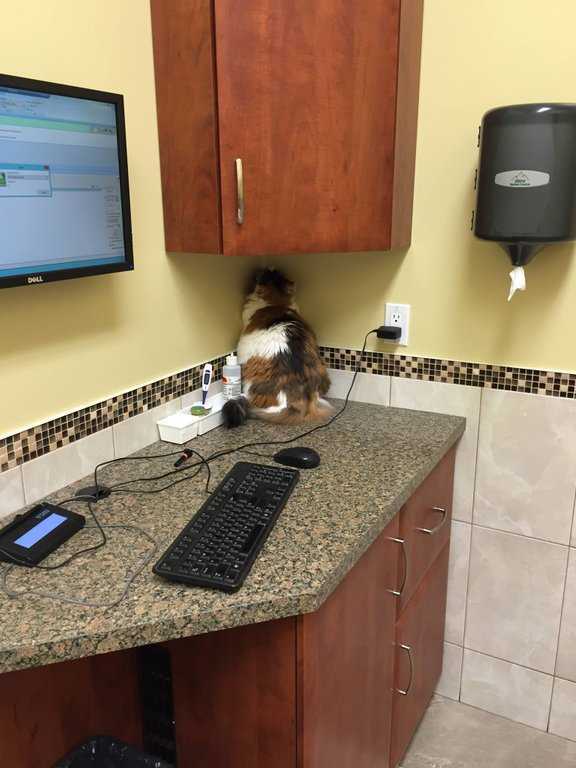 We’ve all wanted to hide away when facing a scary doctor’s appointment, but cats find out their solution. 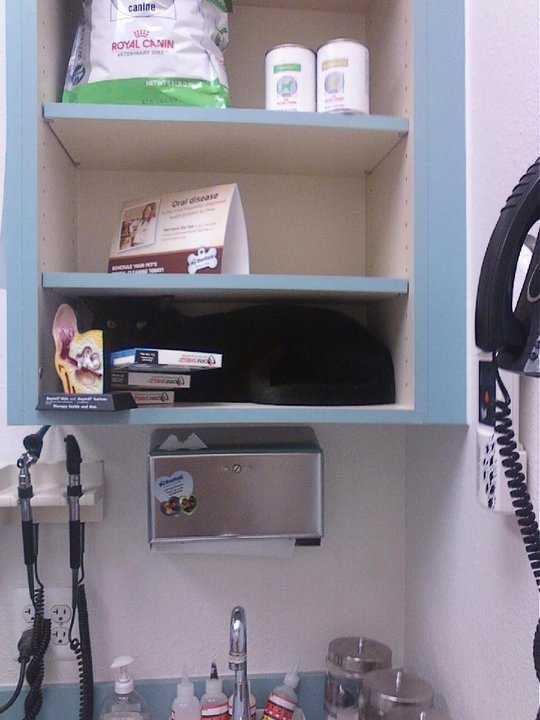 Dogs may cry when you take them to the vet, but cats hide. 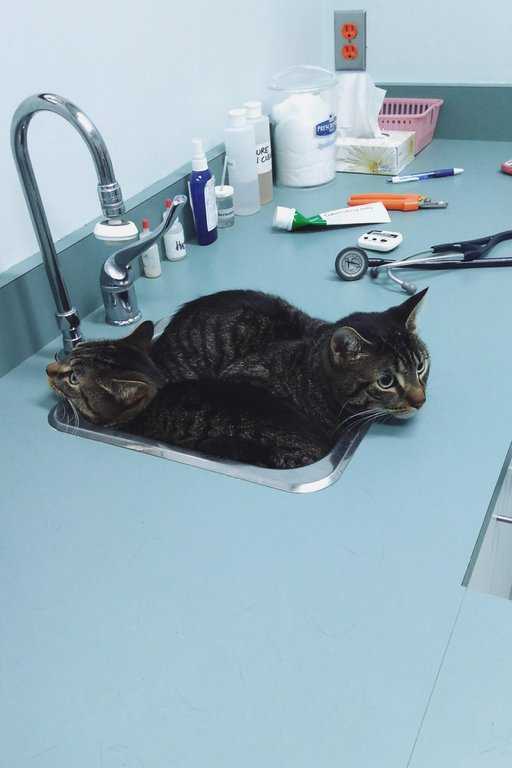 They feel disturbed to get poked and prodded by a doctor. 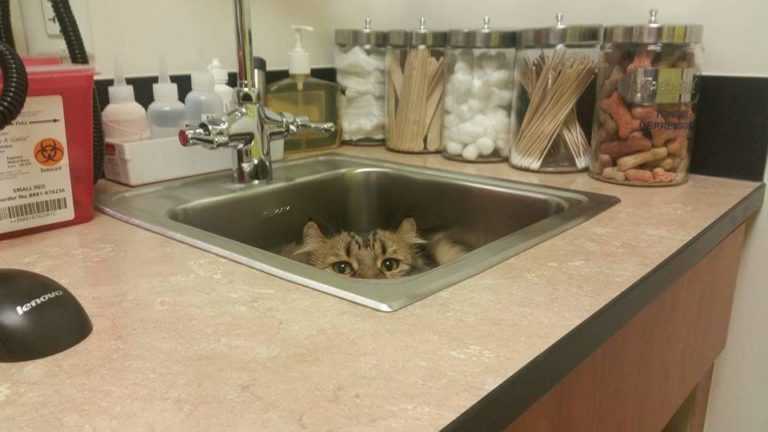 Instead of waiting cats think there is a better option hiding. 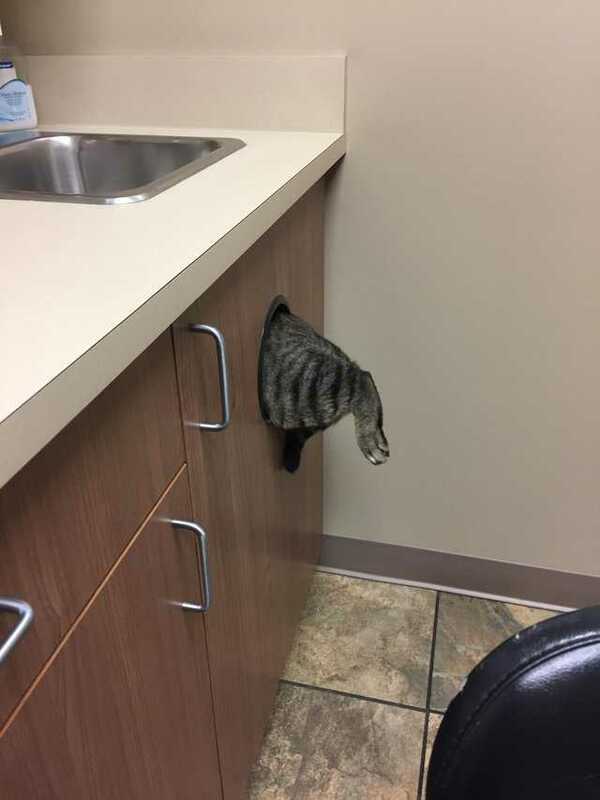 Many cats tend to find a spot in which to hide the second they get into the examination room, but they inevitably and adorably fail. 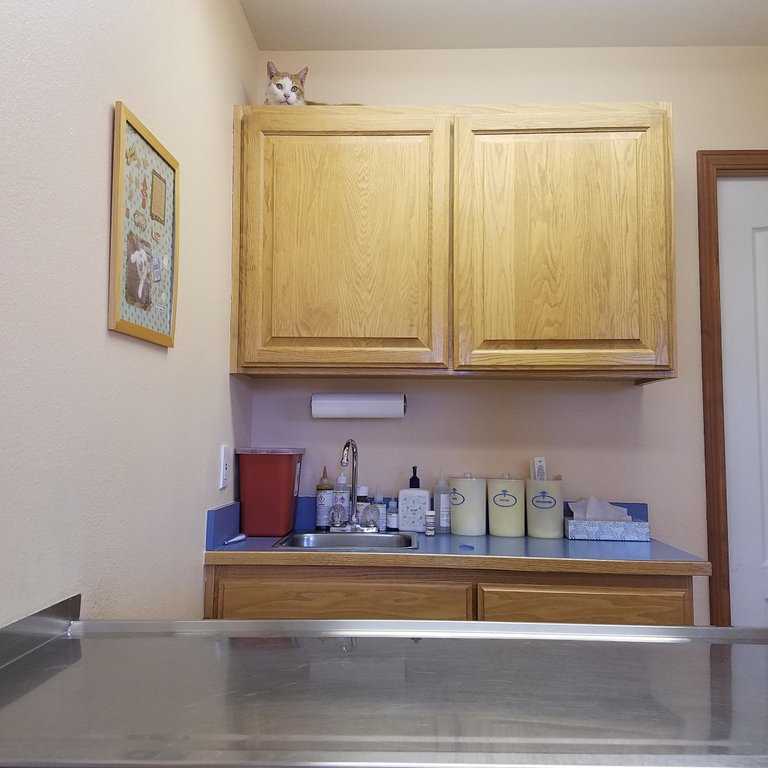 These poor cats had no interest in going to the vet and made sure their owners knew about it. 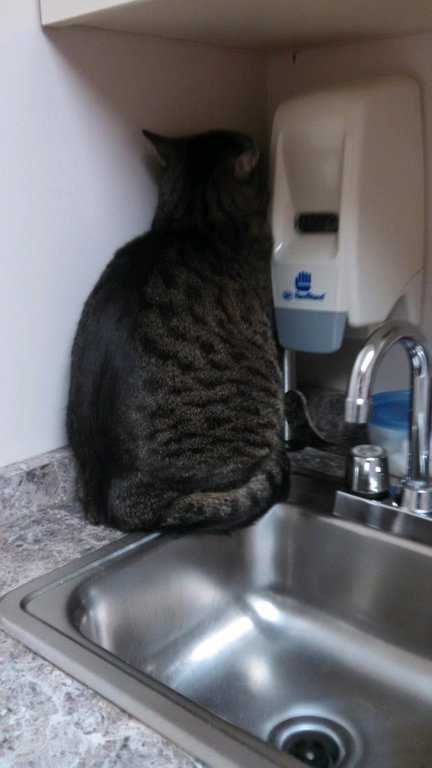 Check out the amazing pictures of Houdini kitties below. 3. 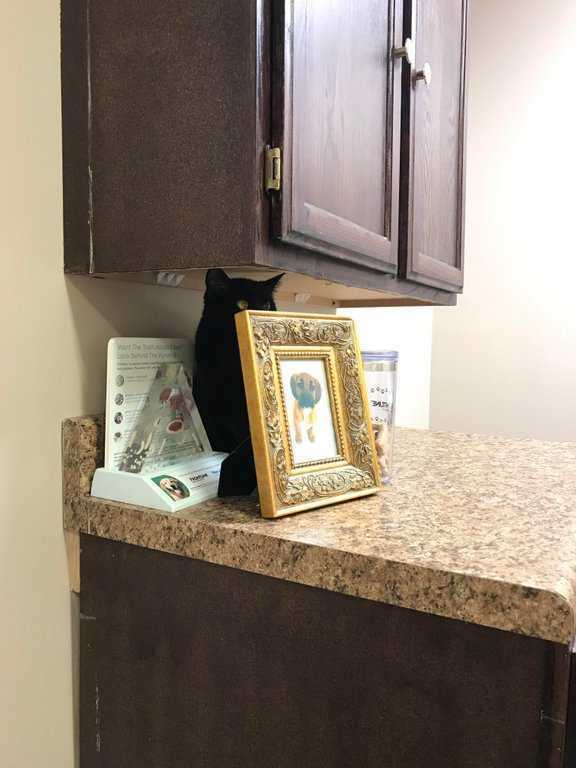 They’ll never find him here! 8. 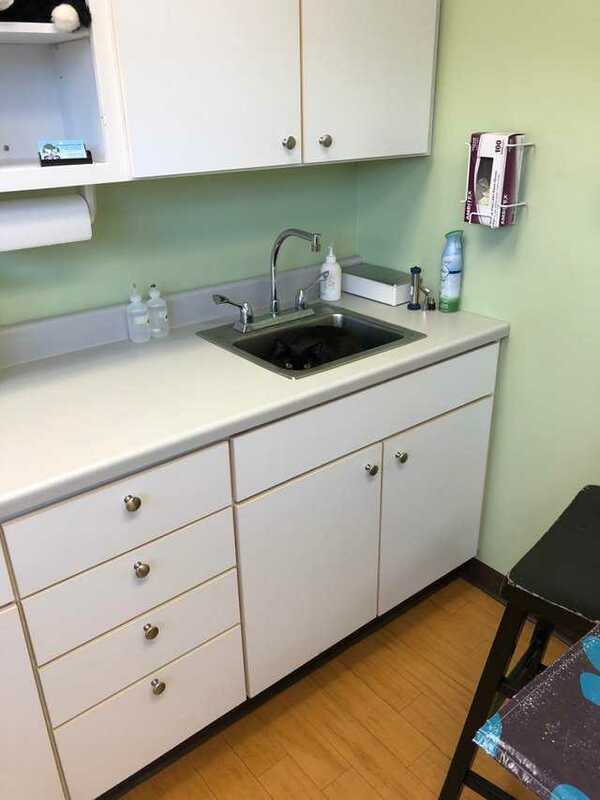 Shh… Be very, very quiet. 15. 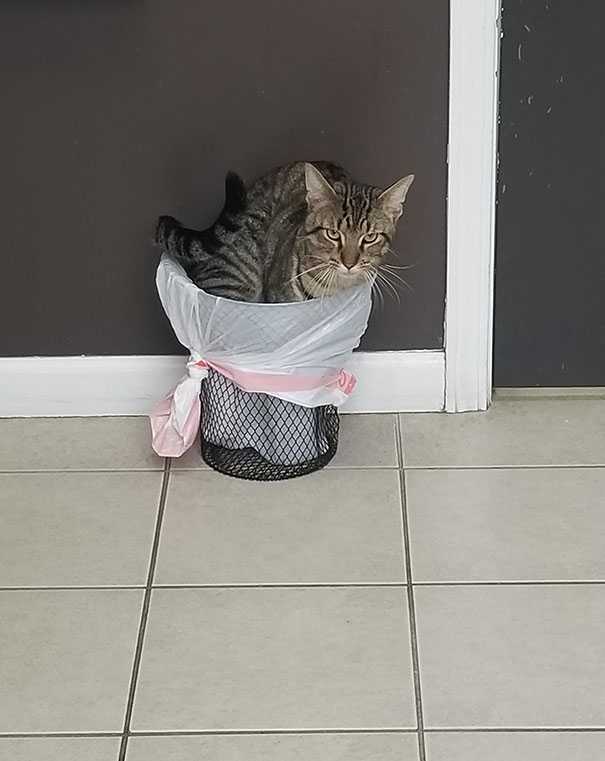 Making his escape through the trash hole. 16. 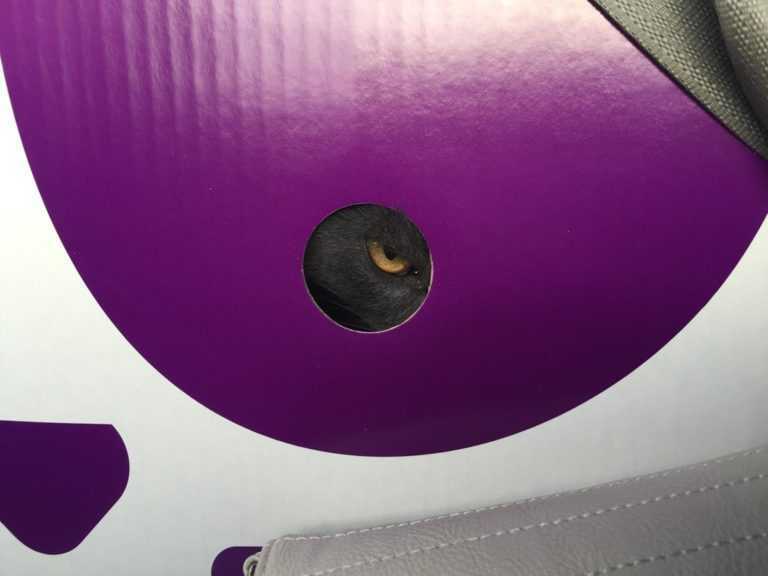 …or just put your head in the trash hole. 20. 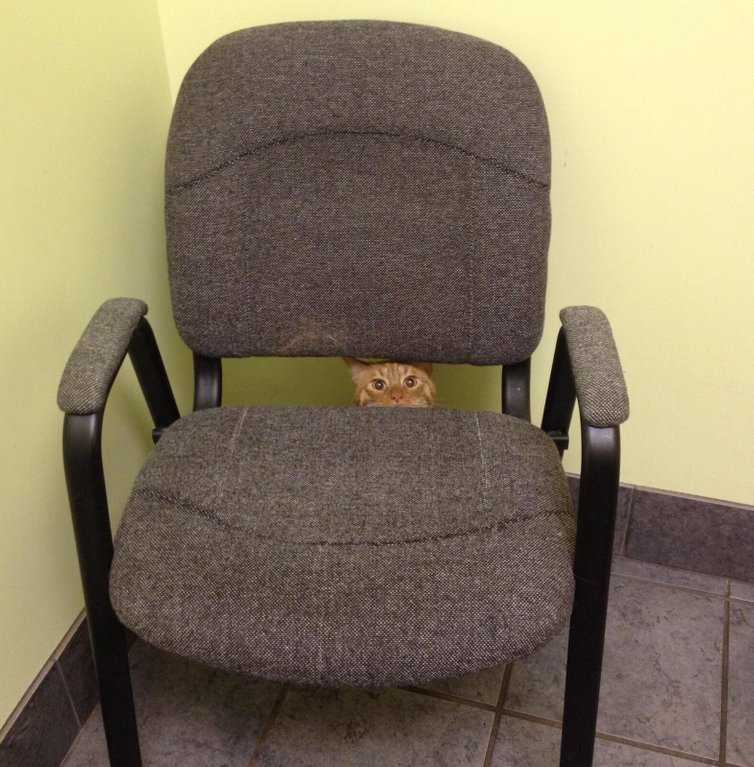 Maximum stealth level achieved!